Kinglos violins are made of traditional materials of spruce and maple for violin to ensure its music performance feature. 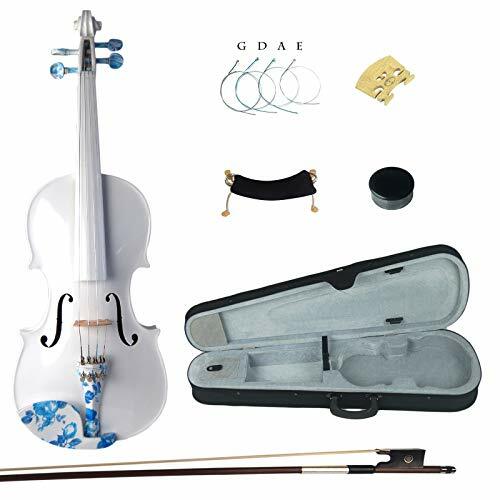 Meanwhile, with the latest painting technology based on positioning and docking the branch of color and wood, they highly guaranteed resonance and tone intact, to endow the violin with stylish and personalized visual effect. All details are hand made by senior luthiers from Shanghai Conservatory of Music. * Rebate Project: If you any time send us a photo of someone playing this violin, as a thank you, an extra $5 will be refunded to you immediately. If you have any questions about this product by Kinglos, contact us by completing and submitting the form below. If you are looking for a specif part number, please include it with your message.